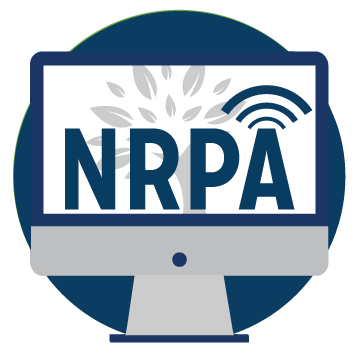 Together with the Afterschool Alliance and the Alliance for a Healthier Generation, NRPA is developing a suite of professional development training resources to equip out-of-school time (OST) providers with the skills and knowledge to reduce risk factors, boost protective factors, and prevent substance misuse among youth. A content matter expert will give an overview of the current substance misuse and opioid epidemic. Two park and recreation professionals will also be sharing their challenges and approaches for addressing substance misuse on park grounds. Both prevention and operation strategies will be discussed; an opportunity to continue the discussion by joining a Community of Practice will be available. Michael Baker is a policy advisor in the Office of Intergovernmental and External Affairs (IEA) at the U.S. Department of Health and Human Services in Washington, D.C. Currently, he works on a portfolio centered on the Secretary’s priorities for opioids, prescription drug pricing, and welfare reform. Michael also coordinates public health work and supports preparedness policy for IEA. Prior to joining IEA, Michael worked at the Office of the National Coordinator for Health Information Technology (ONC) in the Office of Policy, where he focused on regulatory affairs and public health initiatives. Originally hailing from southeastern Michigan, Michael has a Bachelor of Science in Biology from the University of Toledo (OH). He holds a Master of Science in Biohazardous Threat Agents and Emerging Infectious Diseases from Georgetown University and a Master of Arts in Economics from American University. Lauren Kiefert is a Program Specialist for the National Recreation and Park Association. Lauren joined NRPA in January 2019 and works on various substance abuse prevention and education-related grants and projects. Lauren brings a wealth of knowledge to NRPA, having both educational and professional experience in the public health field. Prior to joining the association, she completed her Master of Public Health degree from George Washington University, with a focus on health promotion and prevention efforts. Her thesis examined the current opioid epidemic and potential approaches to address the nation-wide issue. She also worked for a substance abuse prevention coalition that served a diverse youth population. Julien Scott currently serves as the Bronx Operations Manager at NYC Parks, where he started as an analyst in 2013. He oversees data collection and analysis at the borough level, and helps the agency to develop and implement solutions to operational challenges. It’s in this role that he witnessed firsthand the dramatic increase in the level of public drug use and discarded syringes in South Bronx parks over the last few years. He is now working closely with senior agency leadership, maintenance staff, and a broad coalition of outside partners to implement a comprehensive plan to address these issues. Prior to joining NYC Parks, with an undergraduate degree in graphic communications, Julien worked in magazine publishing in New York and Los Angeles, and as a journalist in Mexico City. Deciding to pursue a second career in public service, he completed graduate degrees in sustainable development and public policy. This focus afforded him the opportunity to join NYC government at an agency that is vital to creating a more resilient and livable city for all New Yorkers.